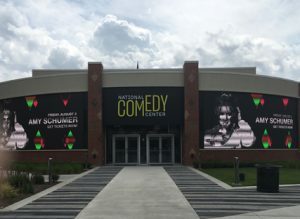 BMD took a recent trip to Jamestown, NY to check out the construction of the National Comedy Center. This is going to be an amazing place. 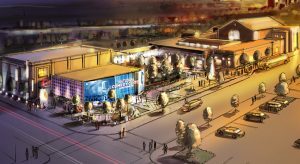 Between interactive experiences and very cool exhibits featuring your faves in comedy it’s going to be THE place to be entertained. Keep an eye out for info on the August opening. If you haven’t figured it out yet…Jamestown is where Lucille Ball was born and the location of the Lucy/Desi museum and annual Lucille Ball Comedy Festival so there will be much to enjoy come August! 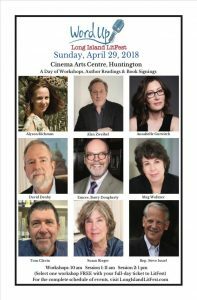 BMD is a proud sponsor of Long Island LitFest being held on April 29, 2018 from 11 am to 2 pm at the Cinema Arts Centre, in Huntington, NY. 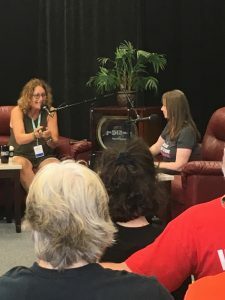 LitFest is a day of workshops, best-selling author talks/readings and book signings. This year, authors Meg Wolitzer, Alan Zweibel, Rep. Steve Israel, Alyson Richman, Susan Rieger, David Denby, Annabelle Gurwitch, and Tom Clavin are among the outstanding writers and authors who will be appearing. We’re thrilled that our own Barry Dougherty will emcee the event for the 4th year. We look forward to an amazing afternoon! 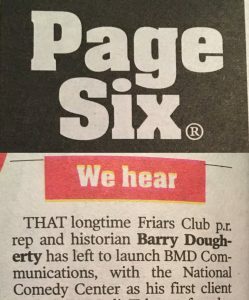 We’re thrilled to get a mention in the popular Page 6 “We Hear” column! 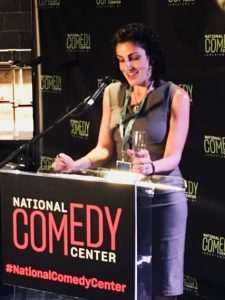 NATIONAL COMEDY CENTER OPENS ITS DOORS TO LAUGHS! 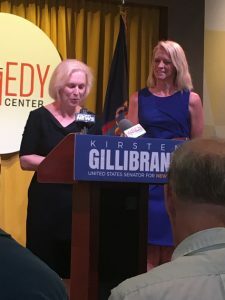 BMD enjoyed a banner week in Jamestown, NY (home to Lucille Ball!) 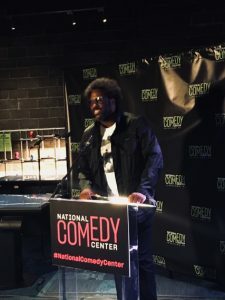 assisting in the opening of the National Comedy Center during the first week in August 2018. 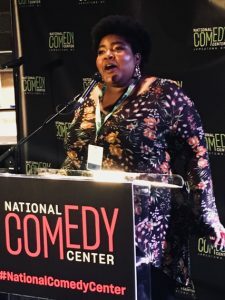 The fun coincided with the annual Lucille Ball Comedy Festival, bringing crowds of laugh-loving fans to the area to enjoy a variety of comedians and talks with and about funny people. 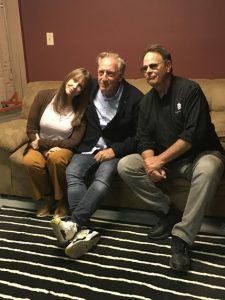 BMD produced a panel with “Saturday Night Live” originators Dan Aykroyd, Laraine Newman and Alan Zweibel, reminiscing with Sirius XM’s Ron Bennington about the early days of SNL and their contributions that turned it into the legend it is today. 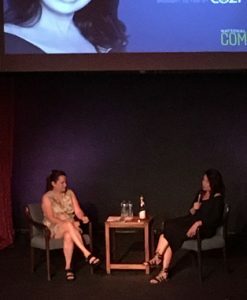 Also on BMD’s docket was Fran Drescher’s sit-down with Kelly Carlin (George’s daughter who donated his collection of notes, jokes and personal papers to the NCC). 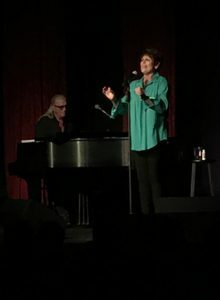 Fran also shared a glimpse of her new standup act and we can’t wait to catch her effortless routine in full-blown comedy club fashion. 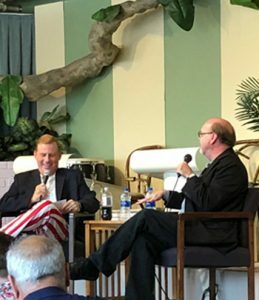 “America’s Got Talent” comedian Tom Cotter chatted with BMD’s own Barry Dougherty in a lively and hilarious discussion about comedy history and fun celebrity sightings. 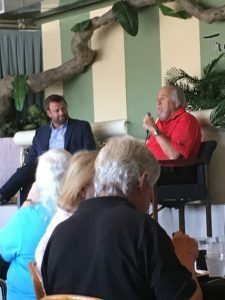 Barry also teased the audience with a hint of his essay show, “My Life In 5 Essays,” sharing 2 of his humorous memoirs. Also on the comedy docket during this opening week were performances by Amy Schumer, Lily Tomlin and Lucie Arnaz, a talk with “Laugh-In” creator George Schlatter, a night of edgy comedy with Lewis Black, W. Kamau Bell, Tom Cotter, Kerri Louise and Judy Gold, Podcasts with Paul Provenza and Judy Gold, Late night comedy with “Daily Show” newcomer Dulce Sloan and chats with Andy Kaufman and Jerry Seinfeld’s manager and producer George Shapiro. 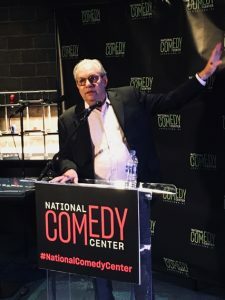 The National Comedy Center is 37,000 square feet of interactive and immersive innovations, that together with items from the archives of comedy movers and shakers, tells the story of comedy in an engaging, entertaining and fun experience. From Lucy’s polka dot dress to the “Laugh-In” Fickle Finger of Fate Award to Andy Kaufman’s Elvis costume, Mary Tyler Moore’s “Chuckles Bites the Dust” script, Harold Ramis’ “Ghostbusters” jumpsuit (donated by his daughter Violet Ramis Stiel), Carl Reiner’s Alan Brady wig and Lenny Bruce’s trench coat (donated by his daughter Kitty Bruce), the NCC is a veritable gift to anyone who loves to laugh. What a week…what a client! 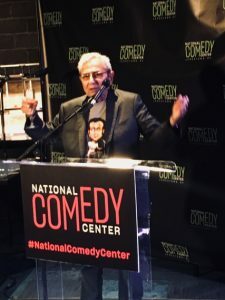 BMD is proud to partner with the National Comedy Center and bring the story of comedy center stage!